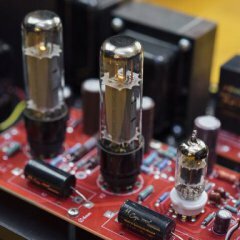 Trades: Different amp, amp/preamp combo, integrated? More pics available. Only lets me upload one here due to file size restrictions. PM me. "In all, the Rowland Model 112 is the definition of jewel-like mass. Everything about it is designed with careful thought, attention to detail, and with a music-lover's heart. The tonal response -- full, accurate, but tight and extended on bottom; mids that are detailed if just a whisper lean; highs that are extended, sweet, detailed and grain-free -- leads to hours of inviting, fatigue-free listening. The limitless power of the Model 112 allows listening to anything, from after-hours ambient to full-scale orchestra. 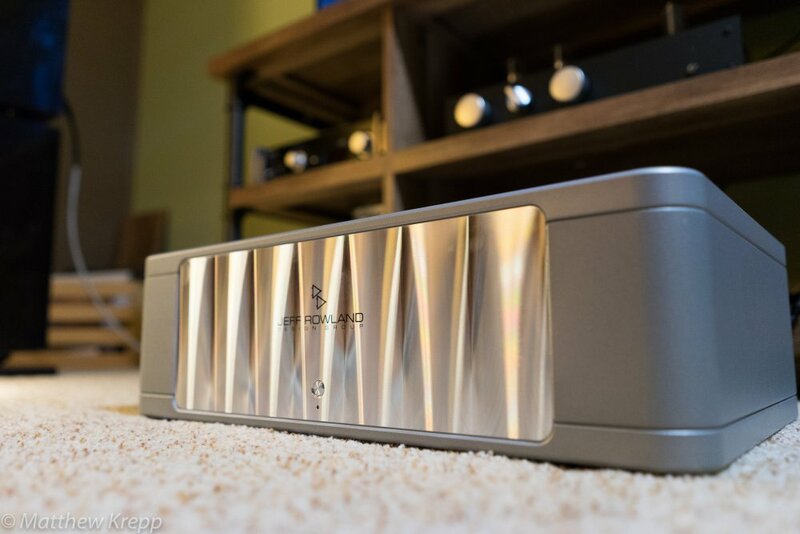 Sonic cues and musical detail are ample, if not quite to the level of the super amps (and Rowland has several of those to offer you should you have the budget). And the Model 112 presents a stage that is wide, deep and stable. All this combines to create a slightly laid-back character that makes for an easy long-term partner. This is an amp that's exquisitely honed to do a difficult job with unflappable control. It never runs out of steam, it goes all the way to the bottom of the musical scale with as complete composure as it goes to the top. It digs deep into a recording and delivers the goods without edge or glare. Add in a design that simply beautiful and you have an amp for people who appreciate quality, will pay for it, and then settle down for the long run with their choice. · XLR input connectors for balanced (Differential Modeä) system configuration. · RCA input Connectors for unbalanced system configurations. · Selectable overall gain of 26 or 32 dB. · User selectable switching between balanced and unbalanced connections. · 12V remote ON/OFF power switching connector. · Automatic temperature stabilizing circuitry maintains constant operating temperature. · CE approved speaker output connectors requiring no tools for tight connections. · Automatic bias adjustment maintains optimal bias setting regardless of source material or loudspeaker load. · Standby power condition reduces warm-up time. · Fail-safe operation provided by user-resetable thermal circuit breakers located on rear panel. · Quiet, transient-free operation during power and function mode switching. · Automatic input muting under anomalous input or output operating conditions. · Fully-balanced Differential Modeä circuit topology implemented from input to output. · Low resonance, structurally integrated chassis constructed of precision-machined aircraft grade aluminum. · Power Supply: 500 VA toroidal transformer with 100,000 MFD total storage capacitance. Regulated frontend supply. · Shipping Weight: 65 lbs.